Well, hello. Long time no see. Since I last wrote much has changed. I started and finished summer and fall quarters of school, graduated from culinary school and have had the opportunity to experience that strange post graduation “what am I doing??! ?” thing. All in all, exciting and productive! There is some fun news now that the new year has begun. As of mid February, I will be heading up the latest venture from the guys at Solo. Running the kitchen that’s to say. Basically, for graduation, I’m getting a newly renovated kitchen smack dab in the middle of Capitol Hill. I'm a Seattle based chef, musician and actor. These are the things that inspire, frighten, excite and drive me. Please enjoy! 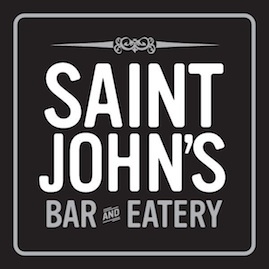 Happy 2nd Anniversary St. John’s! Copyright © 2011 JoeRandazzo.com . All rights reserved. Happily assembled by Wolf In The Wall.